This past weekend was a crazy one. Dallas got a big snow storm followed by tons of rain, my parents came to visit, and it's midterm season! I felt so bad that my parents left the cold and snow in the north east hoping to catch some Texas warmth but ended up bringing the snow with them! I swear we've hardly had any bad weather here, but just as they come it get's bad! On Friday, after my classes, we went to Klyde Warren Park and snapped some photos in the fresh snow for a future outfit post! On Saturday, the Brooklyn Nets were coincidentally playing the Mavericks and luckily my mom saw this ahead of time and had my dad get tickets. We're big Nets fans so it was exciting to see them play and even more exciting when they won! Sunday was my Mom's birthday and it was so nice to get to spend part of the day with her! For breakfast we went to Breadwinner's, one of my mom's favorites. We had a great meal like always and then it was time for my parent's to catch their flight home. Before breakfast we stopped for donuts (really healthy right!) and I snapped this fun picture. The donut was incredible if you were wondering! I got a little bored while writing my 9 page paper that's due in my literature class this Tuesday, so I took to doodling. I love this quote and think it turned out pretty well! I wish the weekend could last forever. At least there's only one week until spring break! 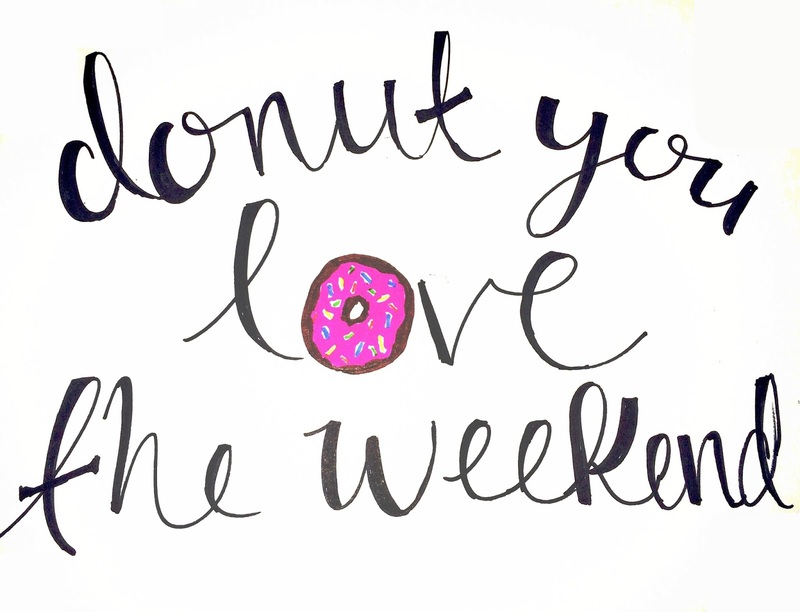 Sounds like a great weekend(: Love the donut picture.Eek! Good luck on that paper! Love your Lilly scarf! I've been dying to break mine out!